Ok I know this is a weight LOSS story, but let me first tell you my weight GAIN story. I had always been very athletic, tall and slim (around 65-70kg and 172cm tall, size 10-12). When I was 20 I got glandular fever (January) and it hit hard, borderline chronic fatigue, so my weight went up around 5-10kg as my exercise dropped. I went onto hormonal contraception as I was getting married and that did me no good, I piled on about 10 more kilograms by October. My weight kept climbing up after this until I hit 100kg in 2009. I fell pregnant at the end of the year but suffered hyperemesis (severe vomiting) and between week 6 and week 8 I had lost 15kg and our baby. This weight stayed off until I fell pregnant again late in 2010. By 8 weeks I had lost 8kg but was treated with hydrocortisone (a steroid). After the birth of our first son, I was back to my pre-pregnancy weight of 85kg within days. I was then diagnosed with Addison’s disease (my adrenal gland doesn’t work properly so I have to be on replacement steroids for life). I lost my milk supply after numerous issues when my son was 20 weeks old. Within 9 months I had piled on 23kg, and now I was pregnant with my second son. After having our second son, I started to have energy, and feel good. I started using Lose Baby Weight and drinking the healthy mummy smoothies at around 6 weeks post partum and joined a gym. 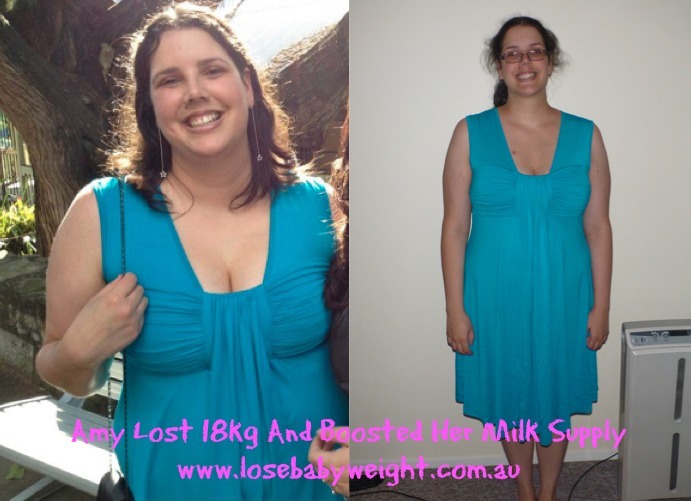 I have been experiencing steady weight loss and at 15 weeks post partum I have lost 18kg off of my pre-pregnancy weight. I have 5kg to lose until I have lost my ‘medication’ weight and 20kg to go until my goal weight of 70kg but am getting there! Huge bonus of the smoothies is great milk supply! I have a colicky baby who seems very sensitive to what I eat so I have dropped dairy and have just recently dropped wheat as a trial. 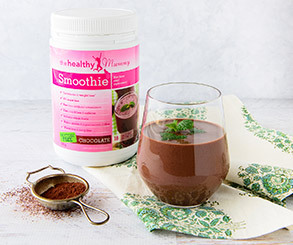 Thank goodness for the smoothies, they mean that I get an easy nourishing meal at times where I am too exhausted or have no time to make something more after hours of rocking and soothing my bub and running after my toddler! Thank you for your amazing product!